Our ring stacker is handmade of maple wood. It's an absolutely must have at each nursery as a decoration and to creative play. The stacker comes as a set of 8 pieces (6 rings, a ball and bottom). The stacker comes unpainted. 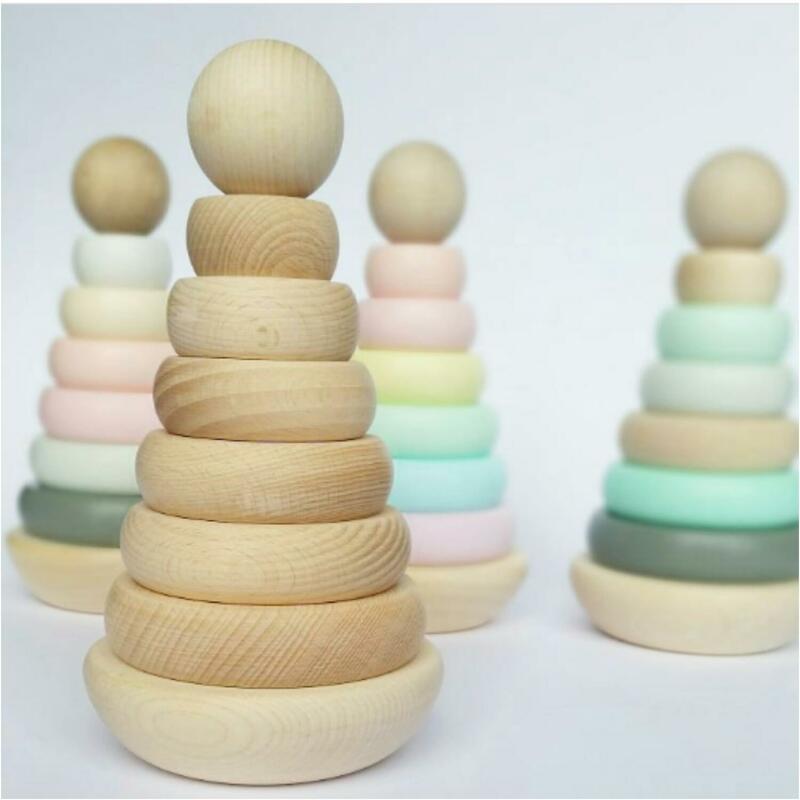 If you wish to have it painted please choose the option Wooden ring stacker- painted.